The longest serving Prince George's County Fire Chief, MH Jim Estepp, was presented the Fire/EMS Department's Meritorious Service Award at an event at the Colony South Hotel in Clinton. The award is in recognition of Chief Estepps lifetime dedication to public service, including his 14 years as Fire Chief, 8 years as an elected County Councilman, and his continuing service to the Business Roundtable, Andrews Alliance, and many other organizations. 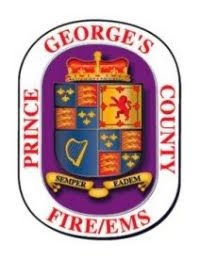 Additionally, Chief Marc Bashoor, the 2nd longest serving Prince George's County Fire Chief announced that the Fire/EMS Department's new Leadership and Development Program was being renamed the M.H. Jim Estepp School of Leadership and Excellence. Developed two years ago as a leadership development program, modeling military principles of responsibility, accountability, & decisiveness, the program sent 30 career and volunteer members, along with 2 members chosen from Pennsylvania on an 18 month adventure, including a visit to the Antietam Battlefield. Students studied successes and failures of leadership and have studied many of the theories and principals of leadership. Graduates will ultimately become better more well rounded fire and EMS commanders. Chief Bashoor said, "designating our Leadership and Development Program the 'M.H. Jim Estepp School of Leadership and Excellence is a fitting reflection of the excellence Chief Estepp brought to our Department and to every one of his endeavors for Prince George's County."